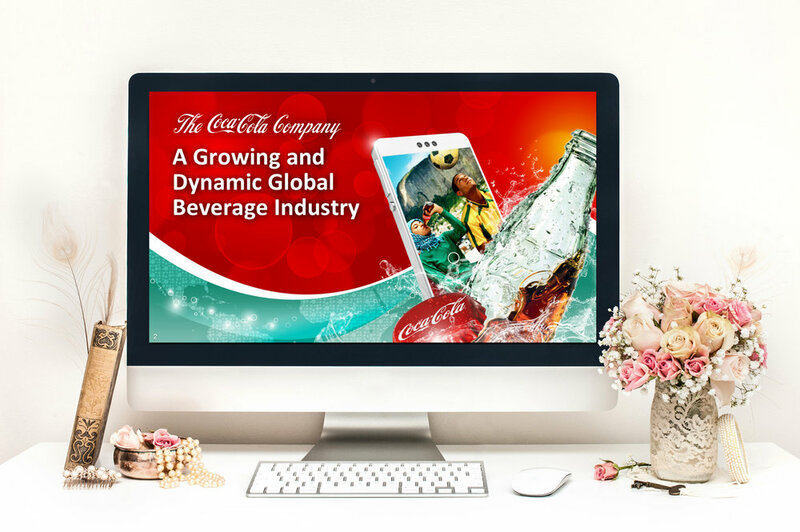 The Coca-Cola Company has relied on my design skills to create eye-popping graphics for their international trade shows, Christmas cards, logos, info graphics, icons, and event graphics for more than thirteen years. The design examples I've shared are ones I created for shareholder meetings, CAGNY, and Goldman Sachs. Projects varied in lead time and complexity, and they were completed well ahead of deadline and on budget.